Julie Cline earned a bachelor’s degree in education from Wingate University in North Carolina. She has taught middle school mathematics for 22 years and recently earned National Board Certification in Mathematics/Early Adolescence. After being introduced to Michelle Stephan, Cline began exploring lesson imaging in her practice. As the leader of her professional learning community, Cline encouraged other teachers to join her in using lesson imaging. She has provided professional development in her district as well as presented at several conferences. Cline continues to support teachers at her school in her current role as math facilitator. 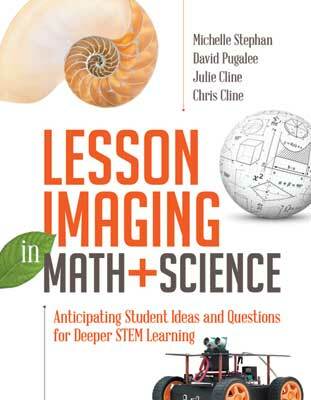 From respected voices in STEM education comes an innovative lesson planning approach to help turn students into problem solvers: lesson imaging.